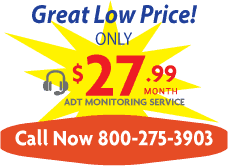 ADT Security Service, Inc. is without question the world’s largest and most trusted security company. Founded over 137 years ago ADT provides a state-of-the-art product line and level of service unequalled in the industry. American Guardian Security Systems, founded in 1985 is Georgia’s oldest and most respected ADT Authorized Dealer. Currently with multiple offices, American Guardian is one of the fastest growing security companies in the United States. With our plans to open numerous other offices throughout the year we are currently seeking talented and energetic individuals in customer service, sales, sales management, and branch management to support our rapid expansion. We are known in the industry for our attractive, above market compensation plans that allows you to grow with our company and advance rapidly into management. If running your own office is your goal you’ve come to the right company. Our compensation plans are comp plans that you can build a future on. We offer both full time as well as part time positions. Our entry level positions are ideal for high school grads, college students and individuals looking for summer work.